Under section 10 of the Children First Act, 2015 The Board of Management of St Audoen’s NS has a statutory obligation to ensure, as far as practicable, that children are safe from harm while they are attending the school or while participating in school activities. St Audoen’s NS recognises it’s duty of care to their pupils and the BOM will always be cognisant of the need for prudent practice from a child protection perspective. The Board of Management (BOM) recognises that child protection and welfare considerations permeate all aspects of school life and must be reflected in all of the school’s policies, practices and activities. Accordingly, in accordance with the requirements of the Department of Education and Skills, Child Protection Procedures for Primary and Post Primary Schools, the BOM of St Audoen’s NS has agreed the following child protection policy. The BOM has adopted and will implement fully and without modification the Department’s Child Protection Procedures for Primary and Post Primary Schools as part of this overall child protection policy. 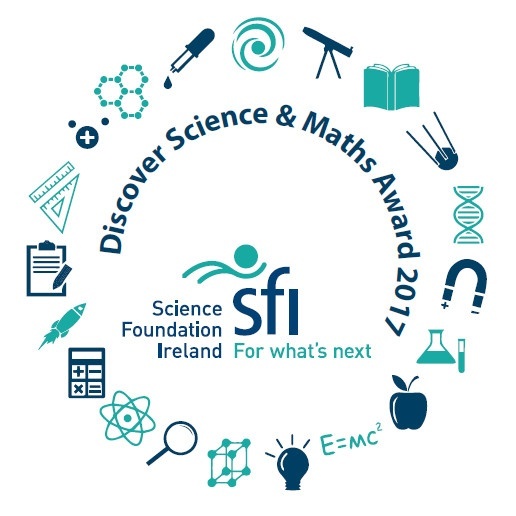 The Designated Liaison Person (DLP) is Ms Meagher. The Deputy Designated Liaison Person (Deputy DLP) is Mr Davern. Certain policies such as St Audoens’ Code of Behaviour, Anti-bullying Policy, Attendance Policy and the Supervision of Pupils Policy will take particular account of this Child Protection & Safeguarding Policy. This policy will also be considered with reference to the participation by pupils in sporting activities, other extra-curricular activities and school outings. Other practices and activities, where child protection might have particular relevance, will take due consideration of the procedures outlined within this policy. The Board has ensured that the necessary policies, protocols or practices as appropriate are in place in respect of each of the above listed items. The Children First Act, 2015 has placed a statutory obligation on specific people to report child protection concerns that are at or above a threshold of harm (as defined in that Act) to Tusla. Such persons are referred to as “mandated persons” under the Act. All teachers who are registered with the Teaching Council are mandated persons under the Children First Act, 2015. Under the Children First Act, 2015 registered teachers as mandated persons are required to report to Tusla any knowledge, belief or reasonable grounds to suspect that a child has been harmed, is being harmed, or is at risk of being harmed. The Act defines harm as assault, ill-treatment, neglect or sexual abuse, and covers single and multiple instances. Neglect is defined as “to deprive the child of adequate food, warmth, clothing, hygiene, supervision, safety or medical care”. The threshold of harm, at which a registered teacher as a mandated person has a statutory obligation to report to Tusla under the Children First Act, 2015 is reached when he or she knows, believes or has reasonable grounds to suspect that a child’s needs have been neglected, are being neglected, or are at risk of being neglected to the point where the child’s health, development or welfare have been or are being seriously affected, or are likely to be seriously affected. Ill-treatment is defined as: “to abandon or cruelly treat the child, or to cause or procure or allow the child to be abandoned or cruelly treated”. Emotional abuse is covered in the definition of ill-treatment used in the Children First Act, 2015. The threshold of harm, at which a registered teacher as a mandated person has a statutory obligation to report to Tusla under the Children First Act, 2015 is reached when he or she knows, believes or has reasonable grounds to suspect that a child has been, is being or is at risk of being ill-treated to the point where the child’s health, development or welfare have been or are being seriously affected, or are likely to be seriously affected. Physical abuse is covered in the references to assault in the Children First Act, 2015. The threshold of harm, at which a registered teacher as a mandated person has a statutory obligation to report to Tusla under the Children First Act, 2015 is reached when he or she knows, believes or has reasonable grounds to suspect that a child has been, is being or is at risk of being assaulted and that as a result the child’s health, development or welfare have been or are being seriously affected, or are likely to be seriously affected. A registered teacher as a mandated person who knows, believes or has reasonable grounds to suspect that a child has been, is being, or is at risk of being sexually abused has a statutory obligation to report this to Tusla under the Children First Act, 2015. Sexual abuse to be reported under the Children First Act, 2015 [as amended by section 55 of the Criminal Law (Sexual Offences) Act 2017] is defined as an offence against the child, as listed in Schedule 3 of the Children First Act, 2015. An abused child is likely to be under severe emotional stress. Great care shall be taken not to damage that trust. When information is offered in confidence, the member of school personnel will need tact and sensitivity in responding to the disclosure. The member of school personnel will need to reassure the child, and endeavour to retain his or her trust, while explaining the need for action which will necessarily involve other adults being informed. It is important to tell the child that everything possible will be done to protect and support him or her, but not to make promises that cannot be kept e.g. promising not to tell anyone else. Allegations of abuse or neglect are dealt with in a sensitive, competent and professional way through listening to and facilitating the child to tell about the problem. Tusla has the authority to share information concerning a child, who is the subject of a risk assessment with a mandated person who has been asked to provide assistance. Information that Tusla shares with a registered teacher, including a DLP, where that teacher is assisting Tusla to carry out an assessment, must not be shared by the registered teacher with a third party, unless Tusla considers it appropriate and authorises in writing that the information may be shared. This is in keeping with the principles of data protection which recognise that in certain circumstances information can be shared in the interests of child protection, but that such sharing must be necessary and proportionate. Section 17 of the Children First Act, 2015 makes it an offence for a person to disclose information to a third party which has been shared by Tusla during the course of an assessment arising from a mandated report, save in accordance with law, or unless Tusla has given that person written authorisation to do so. Failure to comply with this section of the Act is an offence liable to a fine or imprisonment for up to six months or both. Guest speakers and visiting teachers of varying disciplines, employed by the BOM of St Audoen’s NS to perform specific duties, will not be left work with a class alone. 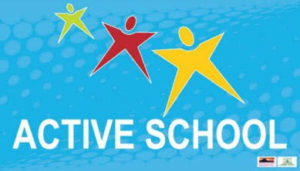 In all situations where a pupil needs assistance with toileting/intimate care, a meeting will be convened, after admission and before the child starts school, between parents/guardians, class teacher, special needs assistant, SEN Coordinator and/or Principal/Deputy Principal and if appropriate the pupil. The purpose of the meeting will be to ascertain the specific needs of the child and to determine how the school can best meet those needs. The staff to be involved in this care will be identified and provision will be made for occasions when the particular staff involved are absent. Clean underwear and suitable clothing will be kept in the school so that if a pupil has an ‘accident’ of this nature, they will in the first instance be offered fresh clothing into which they can change. If the pupil for whatever reason cannot clean or change themselves and the parents/guardians cannot be contacted, the child will be assisted by members of staff familiar to the child. In such situations, two members of staff should, when possible, be present. A record of all such incidents will be kept and parents will be notified. The school toilet facilities are not open to the public. 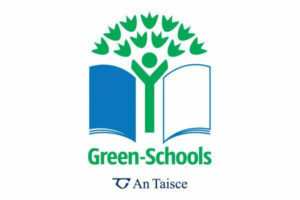 Children’s toilets are for the sole use of the students of St Audoen’s NS and are not suitable for parents, visitors or children not attending this school. Our students may use the toilets within the school opening hours. Staff toilets are for staff use only, this includes visitors/guest speakers/guest teachers. Staff toilets are not open to the public. While every precaution will be taken to ensure the safety of children, we realise that accidents will happen. Accidents will be noted in our Incident Log Book and will be addressed under our First Aid & Accident Procedures. It is the policy in this school that one-to-one teaching is often in the best interest of the child. Every effort will be made to ensure that this teaching takes place in an open environment. Pupils will be expected to dress and undress themselves for Games/ PE/ Swimming. Where assistance is needed this will be done in the communal area and with the consent of parents. Under no circumstances will members of staff/ volunteers be expected to or allowed to dress/undress a child in a cubicle/private area. In such situations where privacy is required, the parents/guardians of the child will be asked to assist the child. While every effort will be made to adhere to best practice as agreed and outlined above, in the event of an emergency where this is not possible or practicable, a full record of the incident should be made and reported to the Principal and parents. Our school attendance will be monitored as per our Attendance Policy. With regards to Child Protection, we will pay particular attention to trends in non-attendance. We will also monitor non-attendance in correlation with signs of neglect/physical/emotional abuse. All parents and children will be made aware of attendance rules and their implications as laid down in the Education Welfare Act (2000). The school’s Attendance Policy outlines the procedures parents and children should use when contacting the school if there are absences or concerns of an educational/personal/family matter. Children are encouraged at all times to play co-operatively; inappropriate behaviour will be addressed under our Code of Behaviour. If an incident occurs which we consider to be of a sexualised nature we will notify the DLP who will record it and respond to it appropriately. Every effort will be made to enhance pupil-teacher communication. If pupils have concerns they will be listened to sympathetically. The SPHE/Oral Language/RSE programmes allow for open pupil-teacher communication, which is hoped will aid the pupil-teacher relationship. Parents are encouraged to make an appointment with the class teacher/principal if they wish to discuss their child’s progress. It is the intention of the Principal and Staff at St Audoen’s to ensure that child protection concerns will be addressed in the school’s Mobile Phone Use and Social Media Use Policy. Children will be made aware of Internet Safety through class lessons and guest speakers and the school’s ICT Policy & Digital Citizenship and Internet Acceptable Use Programmes . The school’s Supervision Policy will be followed by all staff to ensure that there is comprehensive supervision of children at all times. A rota is displayed and shared amongst staff. Mornig supervision begins at 8:15am. In accordance with section 11 of the Children First Act 2015 and with the requirement of Chapter 8 of the Child Protection Procedures for Primary and Post-Primary Schools 2017 the following is the Written Risk Assessment of St Audoen’s NS which was completed January 2019. Clear Drop-off and Collection Guidelines. If you would like more details on our Child Protection Procedures; please contact the school through Reception. St Audoen’s National School is a primary providing primary education to pupils from Junior Infants to Sixth Class. In accordance with the requirements of the Children First Act 2015, Children First: National Guidance for the Protection and Welfare of Children 2017, the Child Protection Procedures for Primary and Post Primary Schools 2017 and Tusla Guidance on the preparation of Child Safeguarding Statements, the Board of Management of St Audoen’s NS has agreed the Child Safeguarding Statement set out in this document. The Designated Liaison Person (DLP) is Ms Eilish Meagher. The Deputy Designated Liaison Person (DDLP) is Mr Nick Davern. The school will also adhere to the above principles in relation to any pupil with a special vulnerability. In this school the Board has appointed the above named DLP: Eilish Meagher as the “relevant person” (as defined in the Children First Act 2015) to be the first point of contact in respect of the child safeguarding statement. This Child Safeguarding Statement was reviewed by the Board of Management in March 2019.